With a wide collection of movies playing from the 29th July to the 8th August as well as exclusive ‘behind the screen’ talks and events, there’ll be something for everyone. Film wise they’re showing contemporary classics such as ‘Kill Bill Vol. 1’ and ‘Team America’, old Hollywood in the form of ‘Cabaret’ and ‘Manhattan’ as well as underground Indie flicks like ‘Let the Right One in’ and ‘Mulholland Drive’. Get there early to bask in the Edmond J. Safra courtyard while picnicking and listen to guest DJ’s pumping out summer tunes. 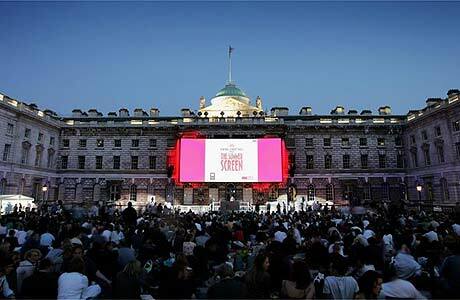 Then when night falls, make yourself comfortable to watch great cinema under the stars. Labels: film, guest blogger, Summer .